Adventure, romance and relaxation; we can facilitate it all. You can choose from a number of activities, or combination of activities to best suit your interests. Choose from full day, half day, morning, sunset or night drives into this world famous wilderness. With a qualified and experienced guide on hand to interpret the world around you, your eyes will be opened to the wildlife that roam this iconic park; from abundant impalas, to elusive leopards and majestic elephants, not to mention birdlife, reptiles and insects, and even fascinating tracks, signs and plants. On a bush walk, you’re immersed in nature. Accompanied by trained and armed guides to keep you safe, your perspective on life will shift with each step you take into the wilderness. You won’t walk far or fast, but you’ll encounter wildlife on their terms, and feel both humbled and awed by the experience. This is an activity for the thrill seekers who don’t mind a surge of adrenalin as they cycle through the wilderness with an armed guide, encountering wildlife that can range from impalas to elephants. The aim is not to go fast or cover a lot of ground, but you will test your limits in other ways. Limpopo is a rich and diverse province and everyone you meet adds to its texture. We’ll introduce you to its living culture through visits to people who will welcome you and share their homes, food and stories. Confident travellers with their own transport can drive themselves through the Kruger National Park, at their own pace. We’re happy to pack you a picnic lunch and share some tips and advice on routes to take and what to spot. The spectacular scenery of the Blyde River Canyon is just an hour’s drive from Phalaborwa. We can facilitate day trips or you can drive yourself along this famous route, taking in the views at God’s Window, Three Rondavels, or stopping at waterfalls along the way. Sefapane’s large dams attract water birds like jacanas, green-backed herons and coots and there are occasional rare visitors too. The call of the African fish eagle is ubiquitous and visitors can spend hours watching the antics of the various weavers. Their intense nest building is a colorful annual spectacle, as is the love dance of some favorite migrants, the woodland kingfishers, who vie for mates and attention each year in mid-November, when they return from central Africa to breed in South Africa. 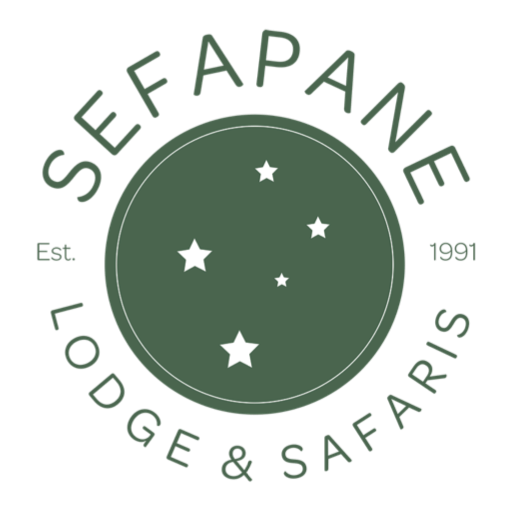 We’ve perfected a range of popular packages that take the guesswork out of your trip planning to give you an unforgettable, value for money stay at Sefapane Lodge and Safaris. © Sefapane Lodge and Safaris 2018. Designed by Afribird.